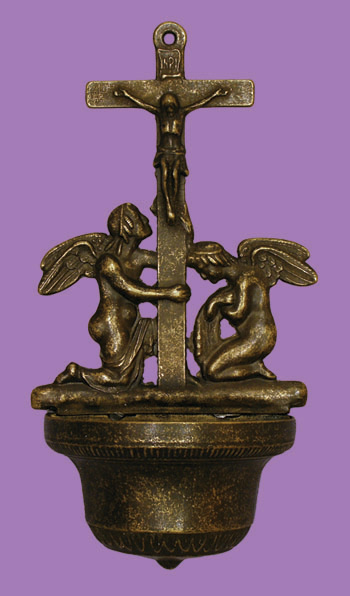 Goldscheider of Vienna, Inc. - Wholesaler of Religious Art from Italy - B-313-A Crucifixion with Angels Font, Antiqued Brass, 12"
Home :: Angels :: B-313-A Crucifixion with Angels Font, Antiqued Brass, 12"
B-313-A Crucifixion with Angels Font, Antiqued Brass, 12"
Crucifixion with Angels font in antiqued brass, 12inches. Made in Italy. Available in shiny brass, B-313-L.